New Delhi, January 23: Connecting distance of religious beliefs, India and Pakistan took a step forward by constructing the much awaited Kartarpur corridor. 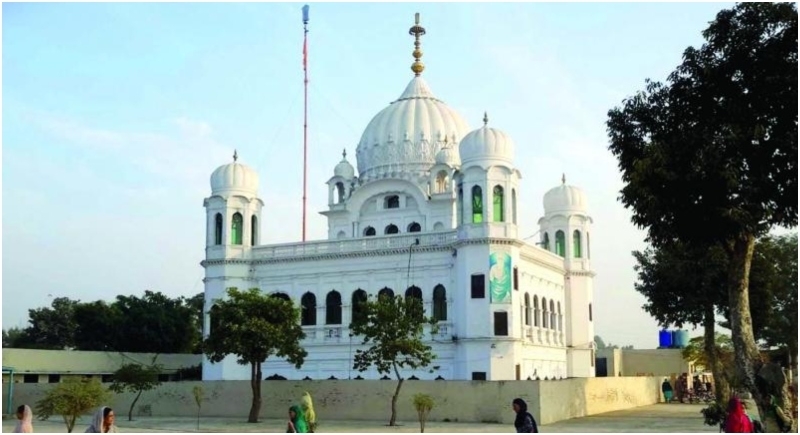 Moving ahead with the same, India on Tuesday shared with Pakistan the coordinates of the Kartarpur Corridor crossing point along the International Border with Pakistan to enable Sikh pilgrims to visit Gurdwara Kartarpur Sahib in Pakistan. In a statement given by Ministry of External Affairs, it stated, "Pursuant to the decision taken by the government of India on November 22, 2018, to expeditiously realise the long pending proposal to establish Kartarpur Corridor, India has today (Tuesday) shared the coordinates of the zero point (crossing point) of the corridor along the International Border with Pakistan," said an External Affairs Ministry statement. "India has also proposed two set of dates, February 26 and March 7, 2019, for the visit of Pakistan delegation to New Delhi to discuss and finalise the modalities so that Indian pilgrims can visit the holy Gurdwara Kartarpur Sahib using the corridor at the earliest," it stated. Pakistan had issued a press release saying it has shared the draft agreement between "government of Islamic Republic of Pakistan and the government of the Republic of India" on Kartarpur with the government of India through the Indian High Commission in Islamabad. Talking about the developments, Home Affairs Minister Rajnath Singh said that the Kartarpur Corridor’s part that lies in India will be completed soon and the progress of the project has been thoroughly reviewed. With the support of Punjab government and the new progressive developments, India will complete the process before Pakistan. India had on November 22 approved the building of Kartarpur Corridor on the Indian side from Dera Baba Nanak in Gurdaspur district till the border. The announcement came ahead of the 550th birth anniversary of Guru Nanak Dev Ji to be celebrated this year. Pakistan later announced that it would also build a corridor on its side of the border from the holy Gurudwara till the border. Vice President Venkaiah Naidu laid the foundation stone for the corridor on the Indian side on November 26, 2018 while Pakistani Prime Minister Imran Khan laid the foundation stone on November 28 on its side of the border.